If you’re looking for a practical hands-on job with a strong technical component, the role of a plumber could be for you. The role of a plumber is to install and assemble piping for hot and cold water systems, in addition to central heating boilers, heating systems and radiators. Their work may also encompass heating and drainage. A plumber is required to undertake all necessary maintenance duties for these systems. What are the responsibilities of a plumber? The role of a plumber – especially when self-employed – necessitates long hours, often more than 40 hours per week. Plumbers must be on hand to deal with emergencies such as broken-down boilers and leaking or burst pipes and as a result they are usually on call at night and during the weekend, so working hours can be unpredictable. The best thing about plumbing is the potential to be doing different work from day to day in different houses and being able to breathe fresh air. What are the key skills required by a plumber? What qualifications does a plumber require? Plumbing is a highly skilled role and in order to be employable you will need qualifications such as Level 2 or 3 Diploma in Domestic Plumbing and Heating, which are recognised in the industry. Level 2 is the basic qualification, while Level 3 gives the candidate the skills to work with gas. Attaining these qualifications can take anywhere between two and five years. In order to be accepted onto a plumbing diploma candidates usually need a minimum of a C grade at GCSE in maths, English and science. Some colleges accept Level 2 Functional Skills in lieu of GCSE grades. Some candidates also become plumbers through an apprenticeship, which usually involves taking the diploma alongside practical work and being paid a salary while doing so. Apprenticeships generally require the same GCSE grades as taking the diploma outright; however sometimes D grades are acceptable. Candidates can search for apprenticeships at JTL or the Building Engineering Services Association. Due to the travel-orientated nature of the role, applicants are advised to have a full driving licence before they apply. Do I need relevant work experience to become a plumber? No experience is necessary for acceptance onto the diploma or an apprenticeship. Once the candidate has completed their training they will have all necessary experience to become a plumber’s mate, working alongside a more qualified senior plumber. At this stage, the process becomes a little more difficult. 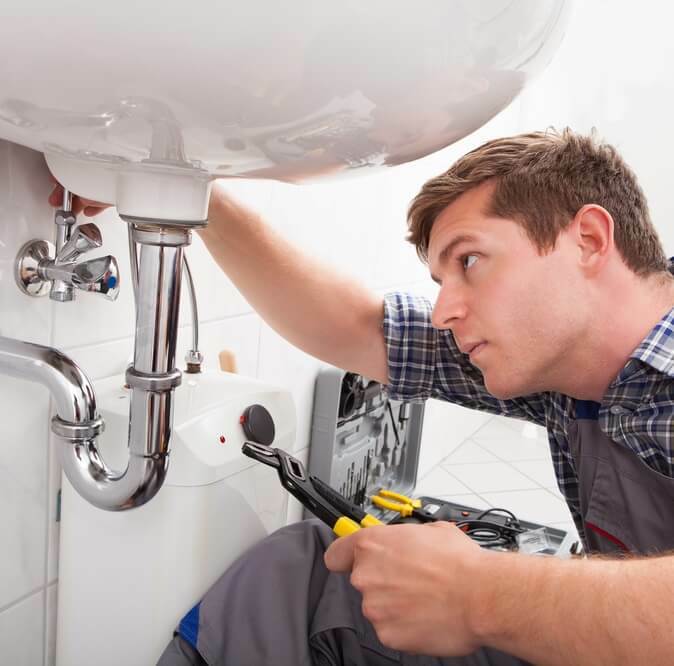 Experience as a plumber’s mate can be difficult to secure due to the fact that most self-employed plumbers cannot afford to take on trainees, so a newly-qualified plumber’s best option is to work for a plumbing company. Technical colleges often arrange work placements with local companies for this very reason. In order to progress to higher qualifications such as the BPEC Experienced Worker qualification, you will need five years’ experience working as a plumber. What are the prospects and salary of a plumber? Self-employed plumbers have the freedom to set their own rates as well as choose their own working hours, so they can almost determine their own salary. I’ve helped build more than one thousand commercial buildings as the plumber, so everywhere I go, everyday, I see some of them. I am so very proud of them. Is the role of a plumber right for me? There are both pros and cons involved in the role of a plumber. Workload fluctuates by season – with autumn usually being the busiest due to residential customers wanting their boilers in good working order before winter. This means that during busy months self-employed plumbers might be earning as much as double what they do in the summer months and working far more hours.